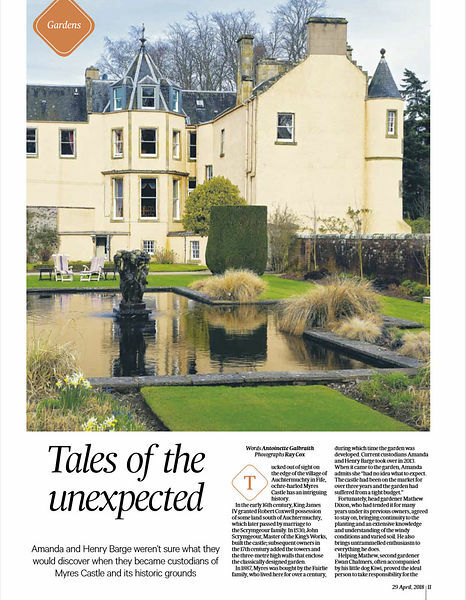 Our latest feature in Scotland on Sunday featuring Myres Castle in Fife. 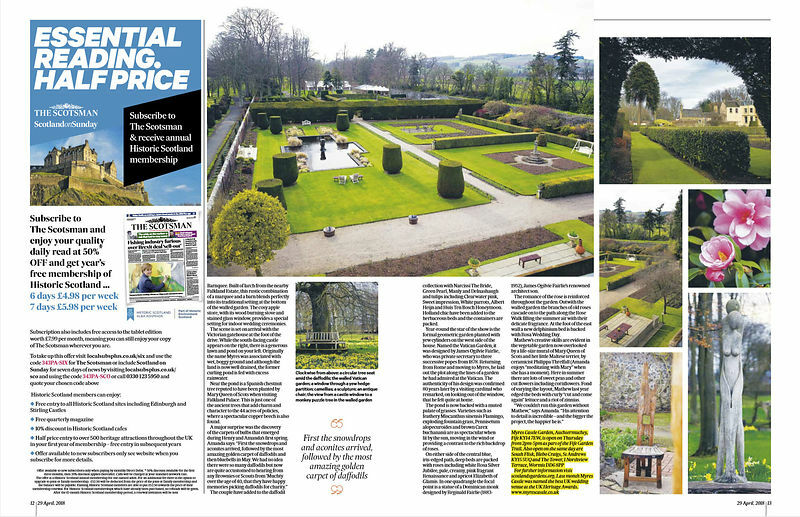 Walled garden design based on that of the Vatican plus impressive displays of daffodils. If want to visit you'd better hurry...today (Thursday 3 May) is the last day it opens this Spring under Scotland's Gardens.